Jimmy Iovine’s insight about product placement in music videos made Beats by Dre a billion dollar brand. Jimmy Iovine realized that music videos were the key to reaching younger music listeners. He founded Beats with Dr. Dre to bring the emotion back to music by bringing back sound quality. They solicited the help of Ammunition and Monster to design, build and distribute the original headphones. They received feedback from top music artists and emotionally invested them into the success of the product. They launched and put Beats into music videos and the artists into their ads. This made the first generation a break out success. They followed this initial success by expanding their line into ear buds, on ear headphones, over the ear headphones and Bluetooth speakers. Justin Beiber, Lady Gaga, and P.Diddy had their names on custom editions of the headphones. They licensed their brand and expertize to HP and Crysler. HTC purchased a majority stake in them to use their brand on cell phones. They started a music streaming service focusing on quality and curation with mild success. But it has successful enough to attract Apple who bought them for $3.2 B. Is the Beats success repeatable? Maybe. Iovine’s and Dre’s connections definitely helped launch Beats, but their early success was based on a mission and getting people emotionally invested in that mission. They built a brand with almost no resources and no risk through partnerships. They invigorated an industry through the power of brand marketing alone. 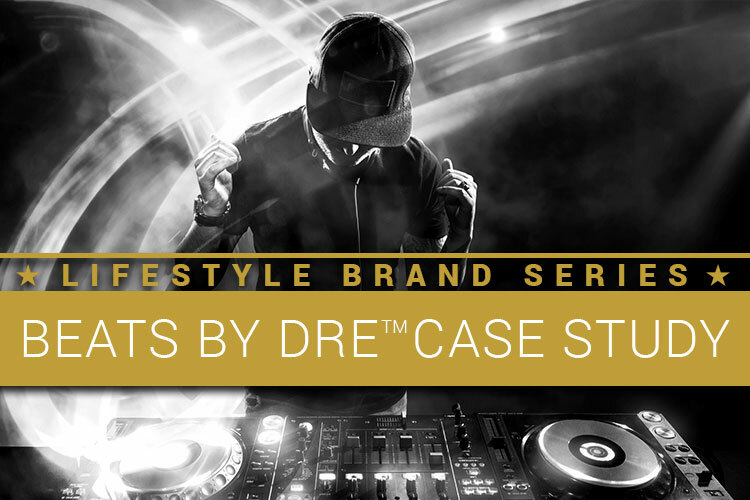 This is the Part 2 of our Lifestyle Brand Series where we explore how brands become associated with aspirational lifestyles. 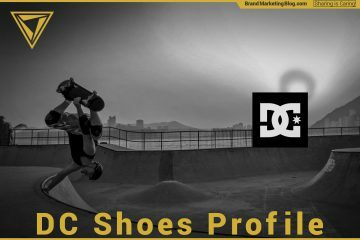 Read Part 1 to understand what is a lifestyle brand and why it is so powerful. No one misses the old Apple iPod earbuds. Jimmy Iovine of Interscope Records had connected with Steve Jobs at Apple and changed Steve’s mind (a rare feat) about how the iPod was to be marketed. Jimmy arranged for the iPod to be in a 50 Cent video at the height of the rapper’s success. This appearance lifted iPod sales enough that Apple came back to Iovine to get it in more videos. Jimmy Iovine knew he had a channel to successfully reach the younger music lover. Jimmy Iovine approached Dr. Dre (aka. Andre Romelle Young) about starting a music product company, and Beats Inc. was founded in 2006 by the two. At the time, Dr. Dre was a platinum selling music artist and the producer of many other platinum artists such as Snoop Dog, Eminem, 50 Cent and Kendrick Lamar. He is known for popularizing “West Coast G-Funk,” a style of hip hop that leaned heavily on synthesized beats. Jimmy Iovine was a music producer who had worked his way from sweeping the floor of a studio to the co-founder and chairman of Interscope Records. Interscope Records became the number one record label in airplay, sales, and market share. Interscope gave Jimmy Iovine a perspective to see two trends that were damaging the industry: pirated music and poor quality headphones bundled with iPods and other electronics. Iovine’s view was that the emotional impact of the music is lost through the sound quality, and Beats existed to bring the emotion back. The generations of people that listened to music from vinyl records and CDs valued high-quality amplifiers, speakers, and headphones. The MP3 generation had never heard music the way it was intended to be heard. Downloading music illegally meant the music files were poor quality, and the cheap, white headphones Apple bundled with the market dominating iPod could not play both the bass tones and the high-frequency tones and muddled the tones it could play. Robert Brunner, designer of the original Beats by Dre headphones. Dr. Dre was interested in starting a sneaker company, and Jimmy Iovine was interested in making speakers. The two agreed on Iovine’s premise of bringing sound quality to the younger generation, and they came together on headphones. Even before they incorporated the company, they consulted with Robert Brunner about design and product development, a relationship that continues to this day. 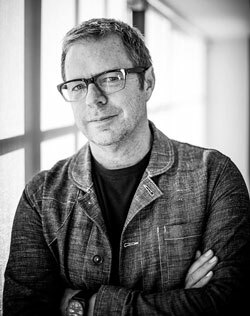 Bruner was previously the head of design for Apple but was the founder and principal designer for Ammunition, a design consultancy, at the time. They also partnered with Monster Cable for the engineering, manufacturing, logistics, and sales. Iovine and Dre were putting prototypes into the hands of the worlds biggest recording artists and record producers. Iovine would lay out the prototypes at his office at Interscope and ask M.I.A., Pharrell Williams, Gwen Stefani, Will.i.am and others. This process not only gave them invaluable feedback, and it also made the artists invested in the product and mission, which becomes important later in the story. Iovine sent a pre-production pair of headphones to LeBron James to get similar feedback. LeBron asked for 15 more, and they appeared on the ears of the entire squad of the 2008 U.S. Olympic basketball team when they arrived in Shanghai. Note that, at this time, Beats did not own the design, the means of production or the sales channel. The only thing they owned was the brand. Product placement in music videos made Beats a rocket ship. Before and after the product launch, Beats by Dre headphones appeared in music videos extremely frequently; Beats were and are in the music videos of Miley Cyrus, Nicki Minaj, Snoop Dogg, Lady Gaga, Wiz Khalifa, and many more. The presence of music videos was central to the Beats by Dre marketing strategy. Jimmy Iovine’s experience with the iPod in 50 Cent’s video showed him the power of the media the artists at Interscope were producing. This not only influenced Beats, but also the formation of Vevo, the online music video program partnered with YouTube but owned by the music industry. They received such great placement in music videos for a variety of reasons. The main reason is that Iovine and Dre had relationships with all of the top artists, and could negotiate product placement deals. Interscope didn’t directly get behind Beats, but artists like 50 Cent who were signed by Interscope but supported other headphone brands were not treated favorably. Beats endorsement by Dr. Dre brought his brand and credibility to the product, and it gave them permission to endorse a product which was generally frowned upon in the industry. Also, the artists that had been asked for their advice on the product were already emotionally invested in its success. The second reason they were in music videos was the price point. They were expensive enough to be a status symbol, so they fit alongside the other status symbols like stacks of cash, Mercedes, Rolex, etc. The third reason was the state of the music industry. Music videos were in a transition period between cable television (MTV), and online streaming (YouTube / VEVO) and the money being sunk into music videos was at a low point. The music industry was also in a large correction and artists, labels, and music video production companies had to be open to new revenue sources if they were to keep their salaries and budgets. The fourth reason was Beats corporate agility and quick decision making. Jimmy Iovine and Luke Wood, Beat’s President, were very nimble to get these deals done. They spotted an opportunity to get Beats headphones into the music video for the now infamous “Blurred Lines” by Robin Thicke and Pharell Williams five days before the shoot and got the deal done. In another example, they filmed a Black Friday ad 72 hours after Will.i.am told them he recorded a single with Britney Spears, just days before the Thanksgiving football spot. Overcoming a horrible sales environment. The effect of product placement in music videos was so powerful that it overcame the environment Beats entered. The first Beats by Dre product was the Beats Studio, a premium headphone at a $300 price point. It was launched in July of 2008 right before the housing bubble burst to send the economy into recession. This was the worst economy to launch a premium product. Every piece of electronics was facing price pressure that was killing margins for electronics stores, except for products from Apple and Beats. Best Buy was so impressed with the sales of Beats in the down market that they gave them free reign to do any in store marketing they wanted and asked if Beats could do the same thing for any other categories like they had for headphones, which lead to the partnerships with HP and HTC. There could be novels written for the history after the success of the original Beats by Dre headphones. But, frankly, they were just maintaining the brand they built based off of that early success, so I am going to go through the rest of the history very quickly. 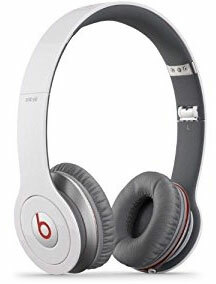 They built out the line of products; the original over the ear headphones were called the Beats Studio, the on the ear headphones were called the Solo Beats, and the earbud headphones were called the urBeats. They later introduced the Beats Pill, a portable Bluetooth speaker, famously pushed by infamous music artist Nicky Minaj. Beats products have a strong visual language because of the great industrial designers they have had over the years. Learn about visual language and how important it is to branding in our article. Speaking of celebrity endorsements. Justin Bieber endorsed limited edition purple versions of the earbud and on ear headphones, calling them JustBeats. Lady Gaga had jewelry like custom editions of the earbuds called the HeartBeats. 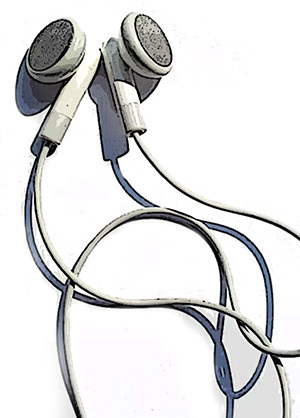 And finally, P.Diddy had his version of the earbuds called the DiddyBeats. We talked earlier about how Beats got artists invested in their success; these custom editions took this to the next level. Licensing and the HTC ownership stake. We saw the Beats name licensed in this era too. HP solicited Beat’s brand, and audio expertize for their HP Envy laptop what had better speakers, a better sound card and custom software for tuning the sound of music. This was a genuine step in Jimmy Iovines mission to improve the music quality and bring back the emotion of the song because he saw the poor sound cards in laptops as an impedance to the listening experience. There was also a Beats stereo options in Dodge, Crysler and Fiat models. Both HP and Crysler loved the Beats deals because they pushed people into higher-end models and option packages. A majority stake in Beats was bought by HTC in August of 2011. The Korean smartphone manufacturer was struggling to stay in the high-end Android phone market and bought Beats to create a steady licensing deal and manufacture their products. Further financial pressures forced them to sell back the stock to Dre and Iovine; a move that cost HTC hundreds of millions of dollars when Apple purchased Beats, but we are getting ahead of ourselves. Beats started their own music streaming service to compete with Spotify, Google Music, and others. They focused on music quality (high bitrates) and playlists curated by music artists and influencers. They never achieved much success with only 250,000 subscribers when they were purchased. Apple bought Beats entirely for $3.2 B dollars. Iovine and Dre had successfully created a 3 billion dollar company in 8 years. I estimate that 75% of that value is in the Beats brand and its consumer association to the music industry (check out our definition of brand equity). There was technology on the streaming side, and the value of Jimmy Iovine becoming an Apple executive, but neither amounted anything close to the value of the brand. Beats in Apple has continued to operate as they were, with some changes. Beats Music was shut down, and the subscribers were moved over to Apple Music. Beats launched streaming radio stations exclusively available in iTunes. But it has been business as usual for the headphones and portable speakers. Cynically, you could look at the Beats by Dre story and say that they started the poker game with a straight flush; the success of the company would not be possible without Jimmy Iovine’s and Dr. Dre’s connections. You might be right. Optimistically, you should look at what they built in the early days with almost no resources and no risk and see that you could do that yourself. They started a cause to bring emotion back to the music with sound quality. They took that mission to music artists and emotionally invested them into the success of the company and the movement. They took the brand, the movement, and the influencers to Ammunition and Monster and had a product designed and built. No technical expertise required. No complicated corporate sales pipeline or logistics chain needed. Just a brand. Beats, in the end, is everything a brand should be. It has strong associations with the music artist lifestyle in the minds of customers, as per our definition of brand. 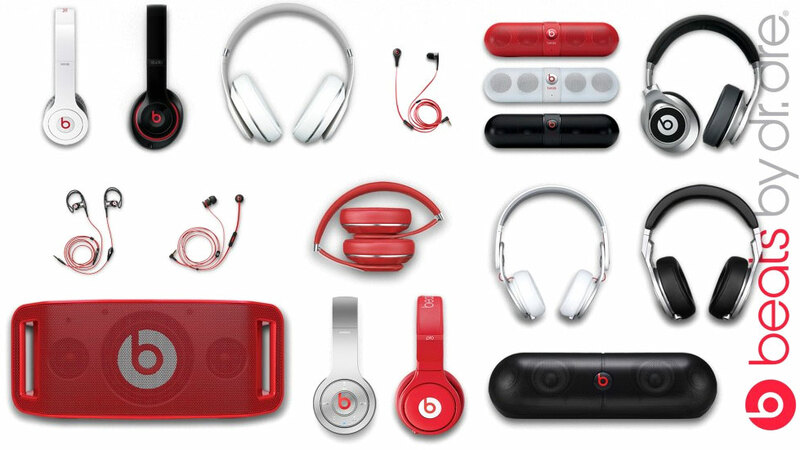 Beats revolutionalized and reinvigorated a stale industry through branding. They excited people to buy quality headphones through the power of brand. Hi Laura, I am glad this article was useful for your project. No problem regarding referencing it. I published it on August 17, 2017. Good examples of brand extensions make for a better strategic position. Bad ones are ugly. 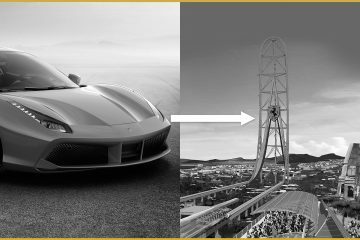 We detail examples of brand extensions from Apple, Callaway, Ferrari, Google, Snoop Dogg, Fender, and Cosmopolitan. 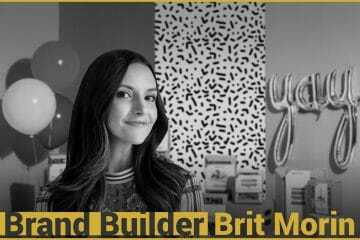 Brit Morin, the founder and CEO of Brit+Co, spotted the influencer brand movement before anyone else has. She has built a community of millennial and gen z women, a demographic that is abandoning legacy brands.